This is the kind of stuff that movies are made of. 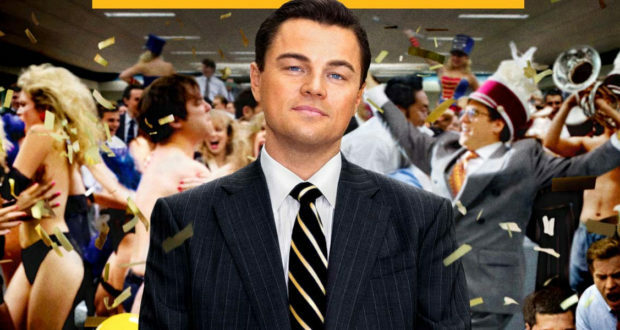 Reminiscent of the Wolf of Wall Street, Boiler Room and others, it is American greed in full swing. Except that these stories are tragically true. What was once an obscure legal document in the courts of New York has now been contorted by nefarious lenders into a debt collection mechanism that is ruining the lives and small businesses of thousands of Americans. The stories are so saddening and full of despair, making one wonder how this could happen in a civilized society. The Targets: Tens of thousands of contractors, florists, and other small-business owners nationwide who entered into loan agreements where they should have read the fine print before signing. These were people in debt already who were targeted by high-pressure sales pitches that promised them money on the spot. Remember the adage, if it sounds too good to be true, it probably is. This is a case in point. The Tactics: An arcane legal document called a confession of judgment. Before borrowers get a loan, they have to sign a statement giving up their right to defend themselves if the lender takes them to court. Federal regulators banned them for consumer loans in 1985, but New York still allows them for business loans. The environment in the aftermath of the financial crisis was perfect, as banks had tightened credit availability just when small businesses needed it the most. Enter plan B. Lenders got around the feds by calling what they did “merchant cash advances,” not loans, a distinction judges recognize though there’s little practical difference. The confession of judgment statement that borrowers signed was essentially the death knell for them. This allowed lenders to start seizing assets of the borrowers without knowledge or proof. What mom and pop thought was a small business loan, has turned into their worst nightmare. The magnitude of these judgments is astounding. 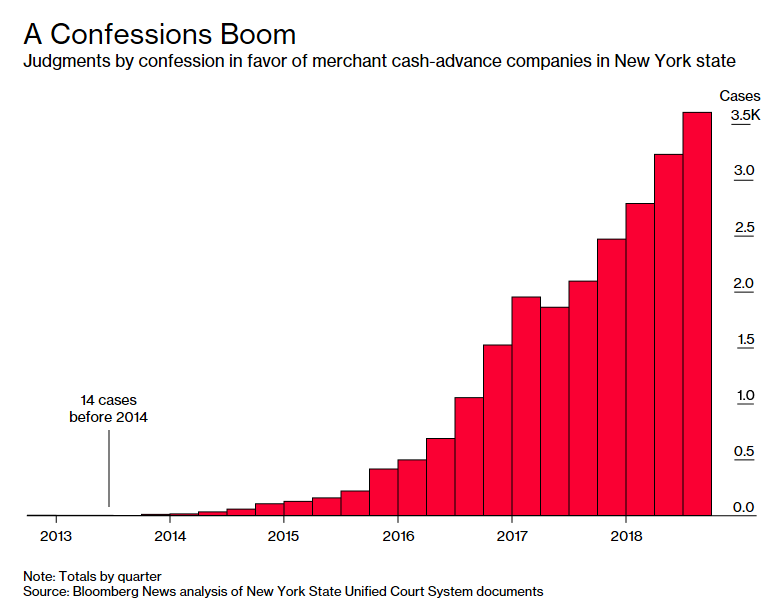 According to Bloomberg Businessweek, “Cash-advance companies have secured more than 25,000 judgments in New York since 2012, mostly in the past two years. Those judgments are worth an estimated $1.5 billion.” The obvious question here is how can this continue to happen. While technically legal, the laws are morally bankrupt. To date, no state or federal regulator has tried to police the merchant-cash-advance industry. These lenders avoid usury laws and state licensing requirements by keeping the word “loan” out of paperwork and describing the deals as cash advances against future revenue. In addition, customers are technically businesses, not individuals, so consumer protection laws don’t apply, either. To obtain a judgment, a lawyer for a cash-advance company must send in the confession along with a sworn affidavit explaining the default and how much is still owed. The clerk accepts the statement as fact and enters a judgment without additional review. Once signed, this judgment is almost impossible to overturn. It’s essentially a trap with no escape at this point. Until the law changes to catch up with these predatory lenders, have a lawyer look over everything you sign as it relates to borrowing money of any kind. In any event, never sign a confession of judgment. Consumer Confidence and Investor Sentiment – Too High? Has The Bond Selloff Run Its Course?